The Carroll family hosted the first Catholic service in Atlanta (now Ripon) in May 1874. When attendance indicated a growing and committed population, Fr. William O'Connor, pastor of St. Mary's in Stockton, built a small wooden church there that same year. Remodeled in 1900, the chapel had windows and an altar from St. Agnes Convent in Stockton. John B. O'Malley, who had come to California in 1853, donated the land on which the church and adjacent cemetery were built. Though other land was available, O'Malley's land was selected for the church site because it had a county well and watering trough that would eliminate the need for digging a new well. 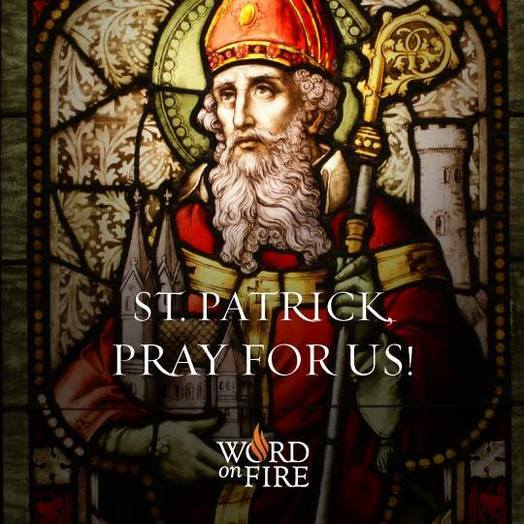 The name St. Patrick's was chosen because the congregation was predominantly Irish. The cemetery is named St. John's in appreciation of John O'Malley. A new church was built in 1946, at which time St. Patrick's was established as a parish with Father Leon Bernard as pastor. An oil painting of St. Patrick, circa 1880, hangs proudly in the church. There have been a number of additions to the parish complex, including a hall, classrooms, and a shrine to Our Lady of Fatima. Parishioners are now considering whether to remodel or relocate to accommodate for the growing number of parishioners.